A huge chunk of the Fence Builders Phoenix team is made up of family men and women. We understand the value in protecting our friends, families, and loved ones from inclement, theft, and intrusive wildlife. That is why provide only the best residential fencing services that Arizona has to offer. 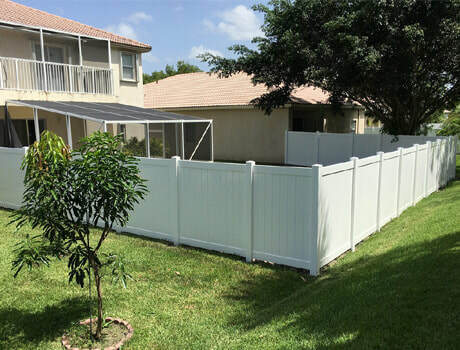 In addition to providing state of the art installations of beautiful fencing concepts, we provide residential repairs, maintenance, and inspections to keep your investment running the way that it should, year-round. We offer specializations in wood, vinyl, chain link, and metal beaming, giving you an expansive selection of styles, designs, cuts, and finishes. Our plan is to take that dream of a beautiful residential fence and turn it into a reality. We apply our signature craftsmanship to every one of our home projects and builds because we believe in providing the customer with as much value as possible. This also means offering a flexible budget and scheduling system that makes sure you spend less time and money in the end. Fence Builders Phoenix provides 5-star services at unbelievable prices! Our 5-star guarantee was made popular by our tried and true selection of customizable wooden fencing options. Many of our residential customers love the affordability and contemporary look of our stockade fences – our dog-ear and straight point stockade styles come in a variety of different wood types and paint finishes. They provide high-level protection against any and all threats, giving you a sleek style at a price that you can afford. Furthermore, Fence Builders provides options for those wanting a more extravagant wooden fence – our picket fencing is, by far, the best styling in the business today. Our gothic point and modified point pickets allow for an unfathomable level uniqueness; our classic picket designs have been turning heads since 2010. After seeing our residential wooden fencing options and prices, its clear to many as to why we are the best fencing business in the industry! For smaller, more urban properties, we offer residential chain link fencing. As with all of our fences, we use only the highest quality materials available, sourcing our metal from different locations all over the United States. Our warehouse is always stocked and ready to start building your chain link, meaning that residential chain link installation is quick, painless, and budget-friendly. Our chain link fence packages come stacked with repair and maintenance services that make sure your investment stands the test of time. We want you to feel confident that your new Fence Builders residential chain link fence will continue to protect your loved ones for years to come. Fence Builders Phoenix’s team of contractors and representatives strives to provide of precise craftsmanship and unbeatable customer service. We want all of our residential customers to feel that they made the right choice. Upon initial inquiry, we treat you with the respect and attention that you deserve. So, when you’re ready to commit to the best residential fencing services this side of Arizona, pick up the phone and call Fence Builders today!